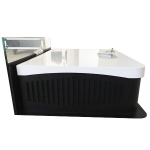 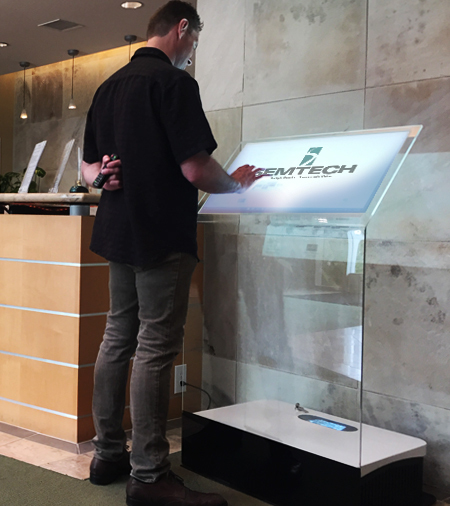 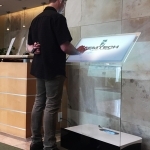 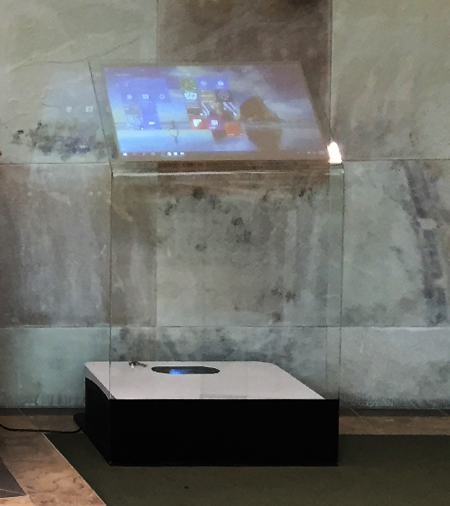 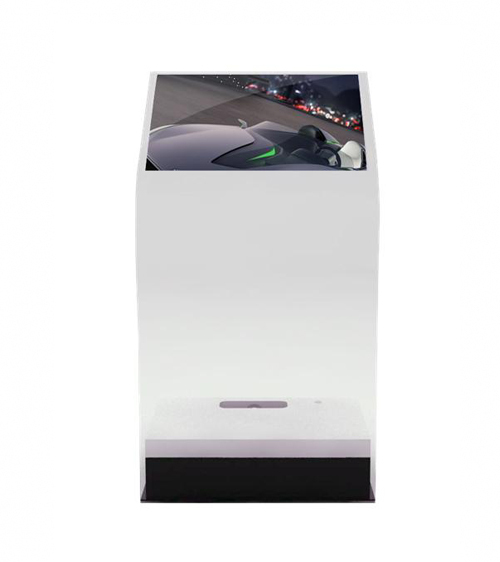 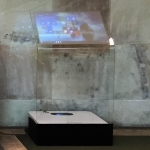 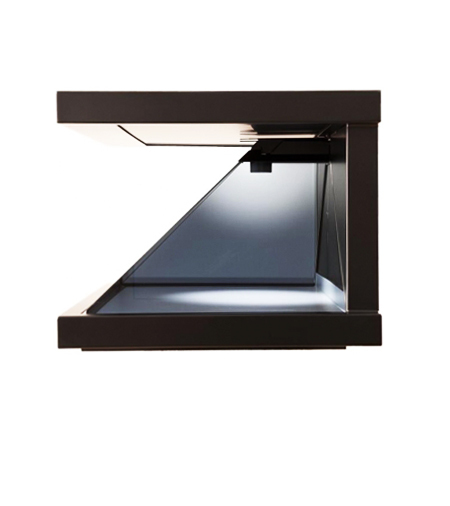 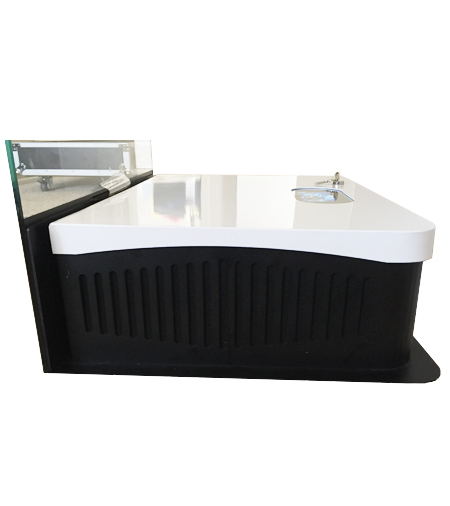 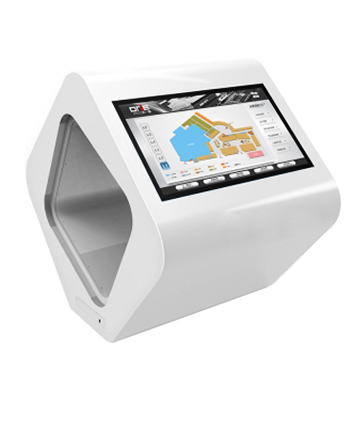 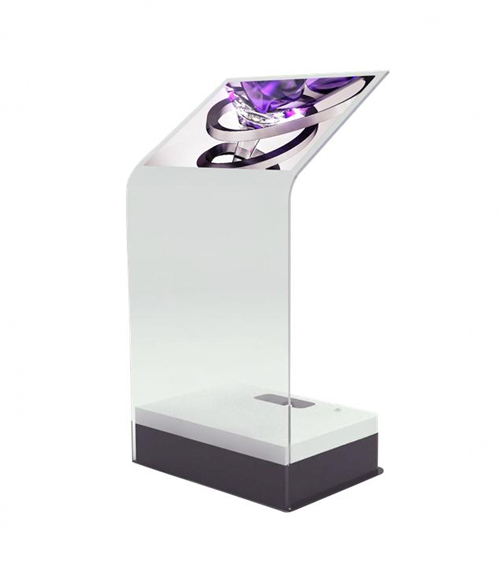 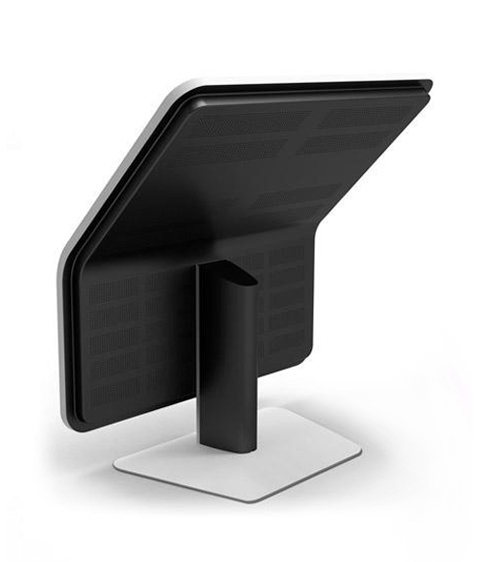 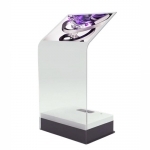 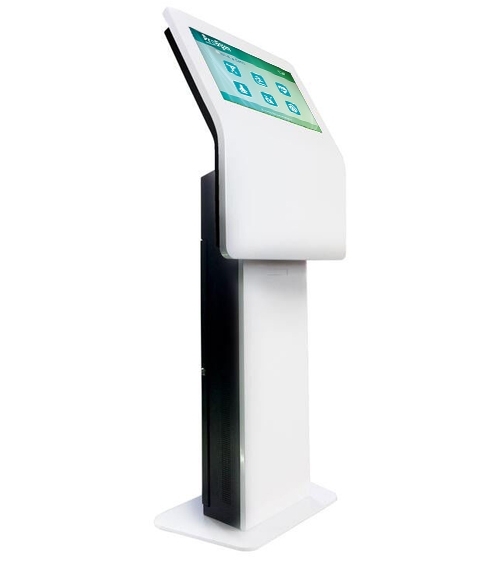 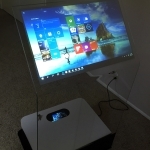 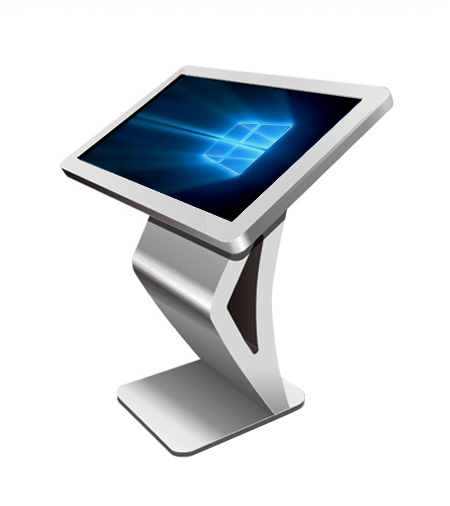 Ultra slim touch glass kiosk with elegant design and no visible wires or parts. 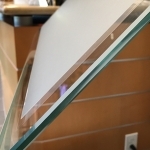 The seamless glass panel creates the illusion that the picture is floating in the air. 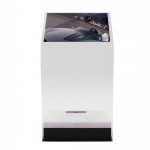 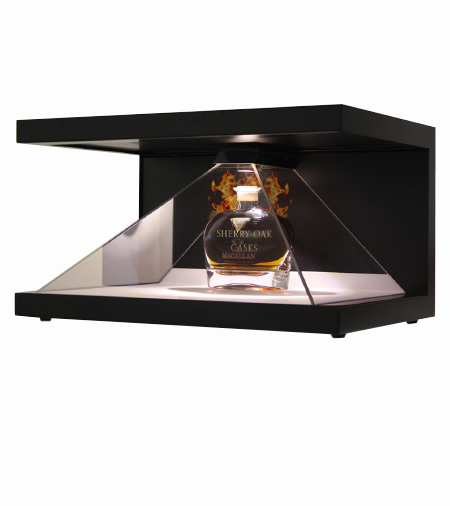 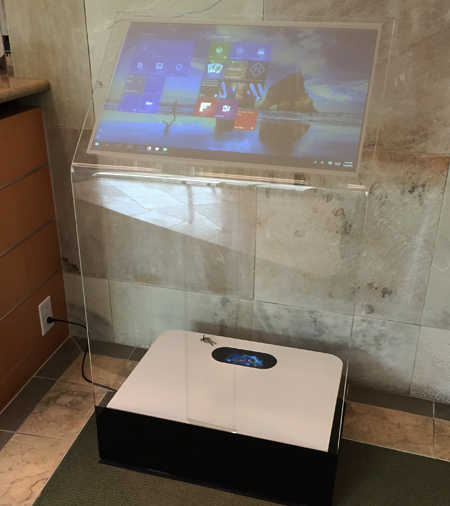 The glass also allows the kiosk to compliment any surroundings. 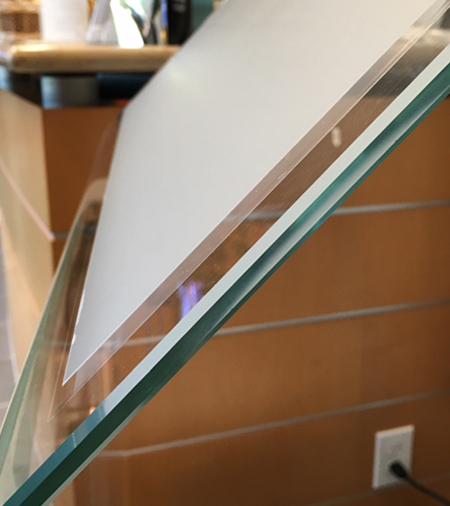 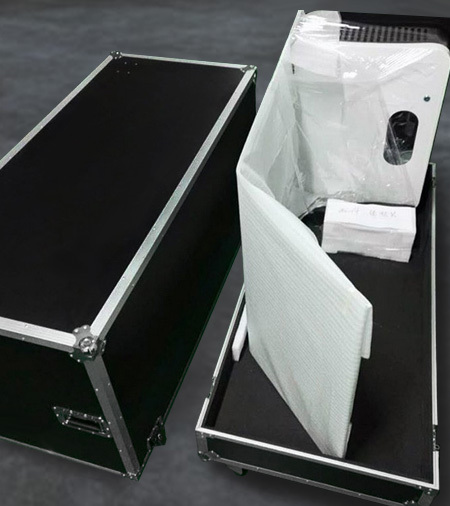 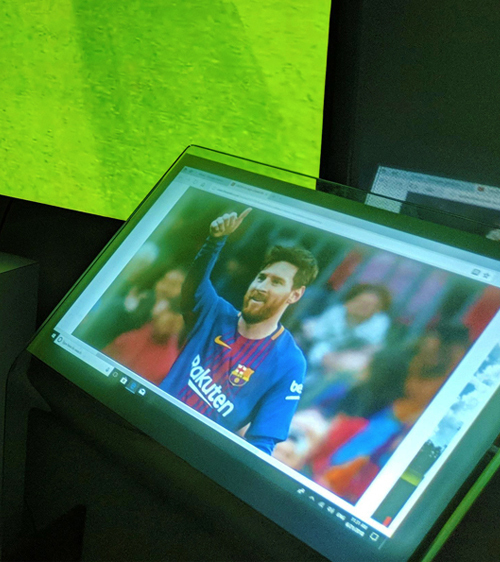 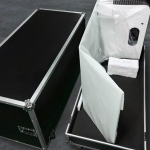 A 2800 lumen commercial projector is mounted in the base and projects onto a transparent projection screen film and touch foil that are laminated onto the glass. 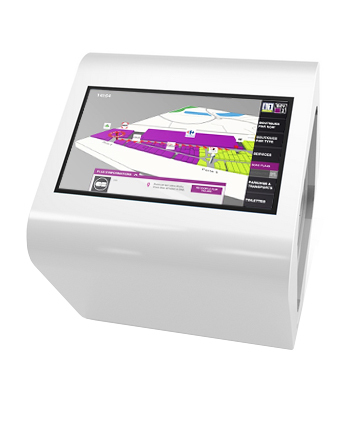 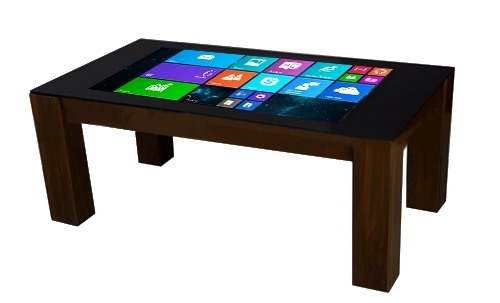 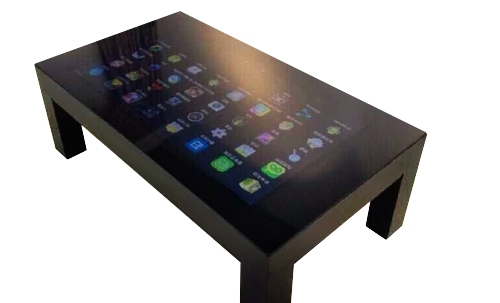 The process creates a new way to present information on screen or as a controller for an environment. 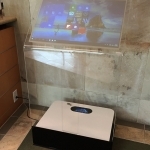 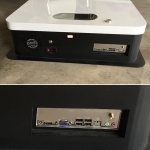 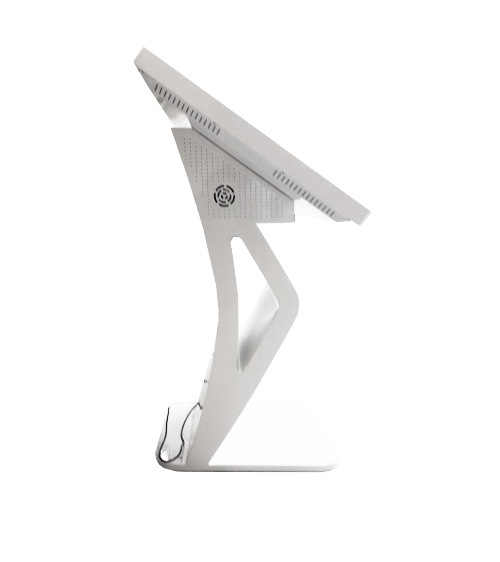 The projector is connected to a mini PC mounted in a rugged steel powder coated base. 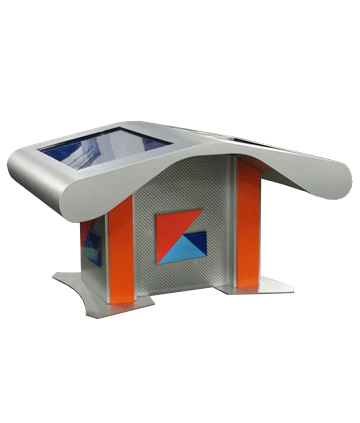 The projection view on the display area is a vivid clear and colorful picture. 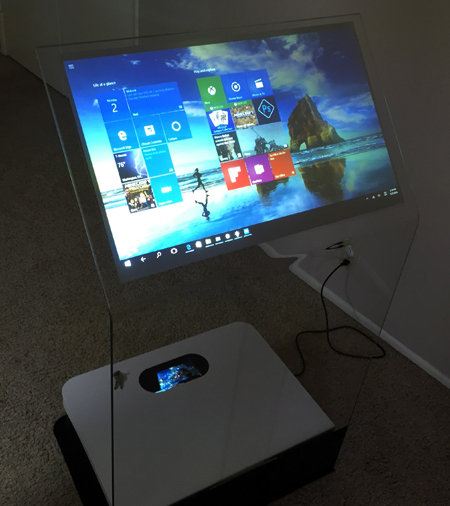 Comes plug and play with Windows 10 and you can install you own branded app, play videos, power point presentations, image slideshows, etc. 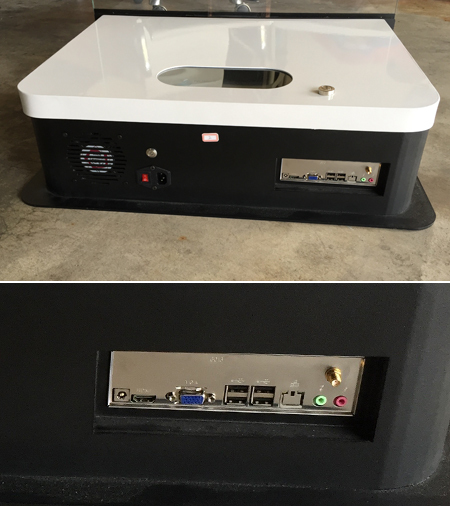 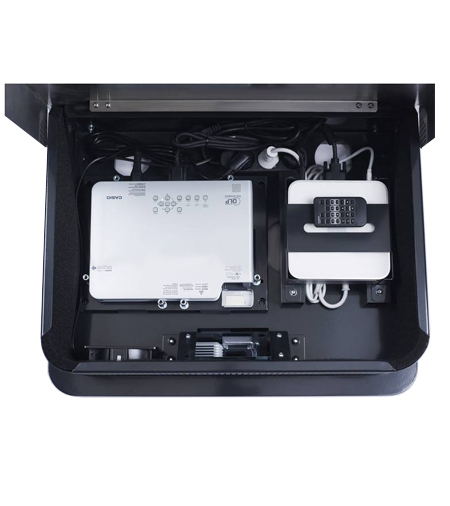 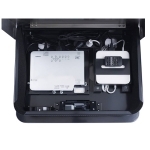 The kiosks includes a remote control for the computer and projector that make adjustments and powering on/off easy. 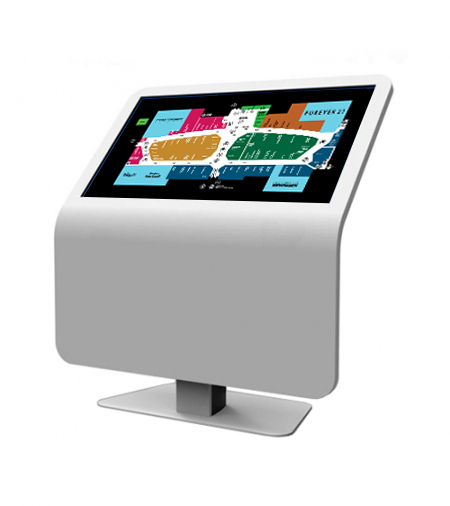 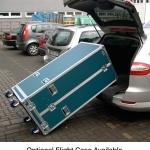 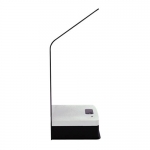 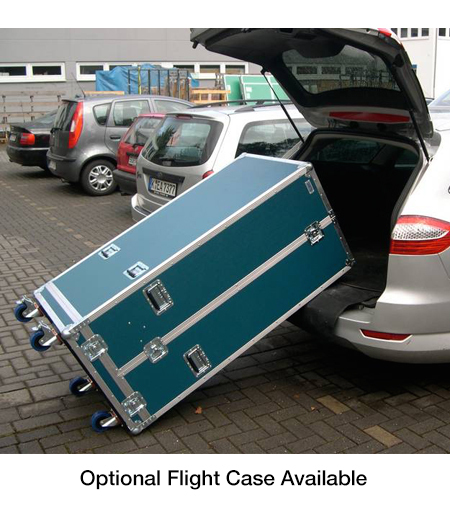 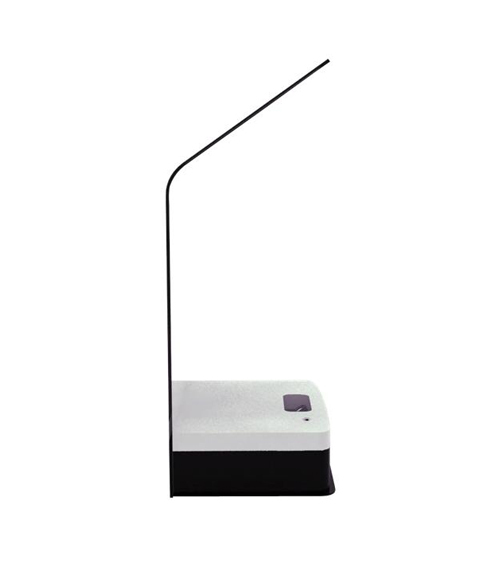 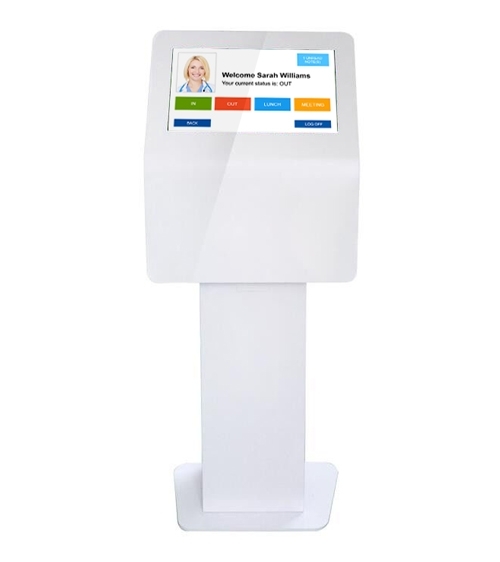 These are great for use as office directories, lobby kiosks, point of interest, company presentations and trade shows. 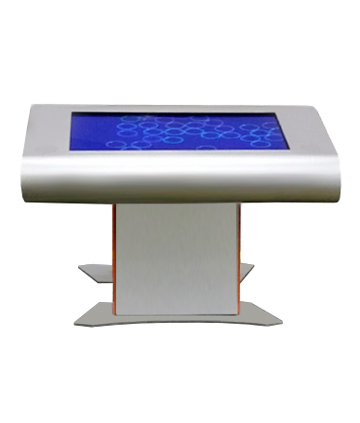 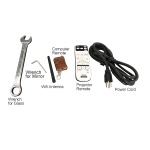 Click on the video tab on the left of the product description for a demo.